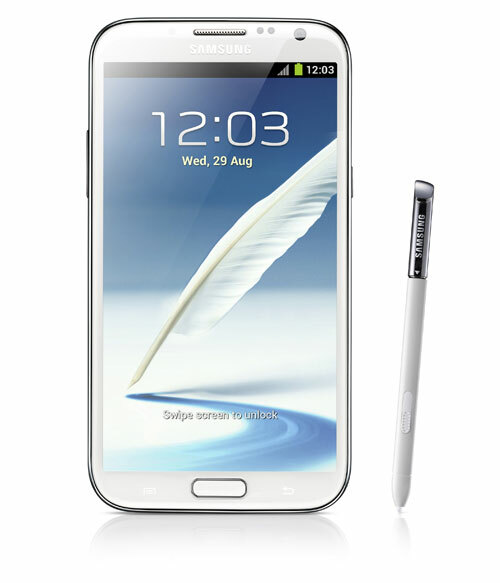 TNI Bureau: Samsung has announced a new version of its Galaxy Note phablet, the Galaxy Note II. The 5.5-inch screen Android device was unveiled at the IFA Berlin yesterday. The Phablet’s signature feature is the stylus. The new Galaxy Note Phablet comes with a stylus called the S Pen like its predecessor. Yet, this time it is longer, thicker and is said to be ergonomically designed. The device is powered by a 1.6GHz quad-core processor and 2GB of RAM and sports a 5.5-inch HD Super AMOLED display screen with 16:9 ratios. The Note runs on the latest version of Google’s Android operating system, the version 4.1 Jelly Bean and will be available in two colors, Marble White and Titanium Gray. Besides that, the device sports an 8 megapixel rear camera and a 1.9 megapixel front facing camera. The memory options are 16 GB, 32 GB, and 64 GB with an expandable micro SD memory slot. Also, the device’s large screen space provides a user more space like a tablet offering better suitability for playing games and consuming content. The phablet also lets the users to open an S Note instantly as a pop-up window anywhere on the screen. For example, when a user pulls out the S Pen during a phone call, the S Note application automatically pops up on the screen, allowing him to write down a quick note.